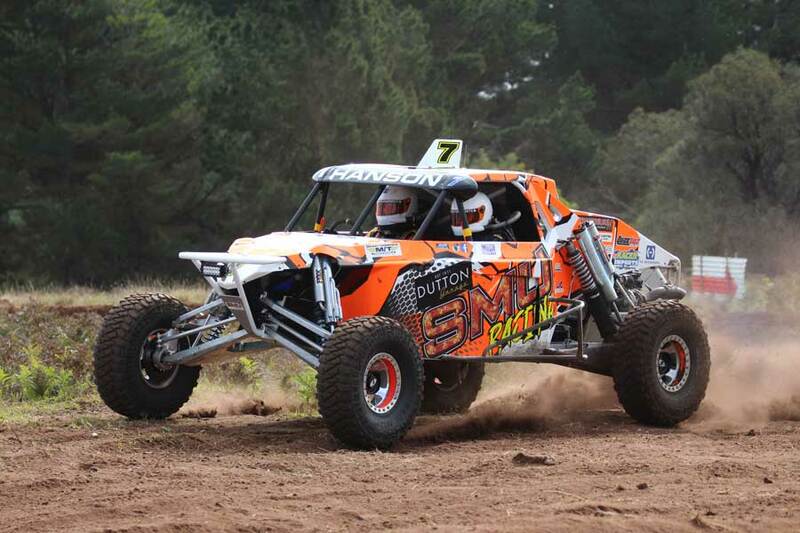 Matt Hanson has added a third Teagle Excavations ARB Pines Enduro 400 title to his long list of achievements; backing up his 2012 and 2016 podium finishes. 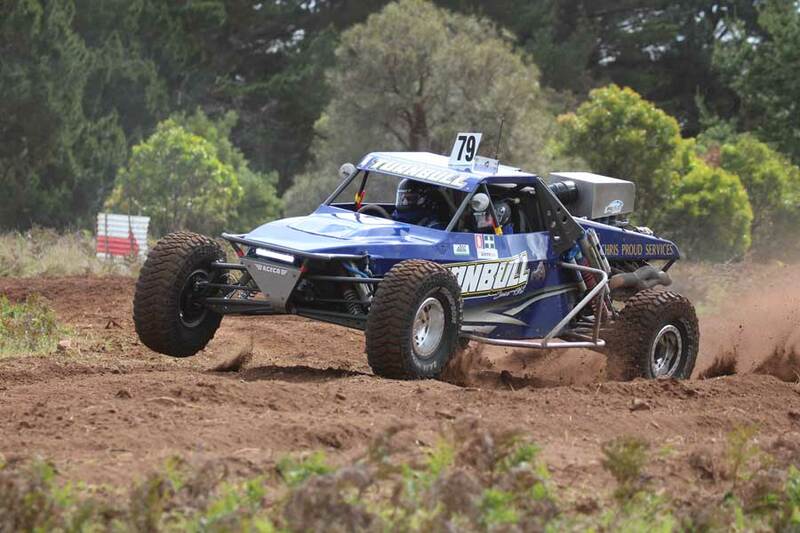 Hanson, with Nigel Pendlebury undertaking the navigating duties, pulled a massive 14m26second lead over second placed Mark Burrows with son Matthew stepping up into the navigators seat. 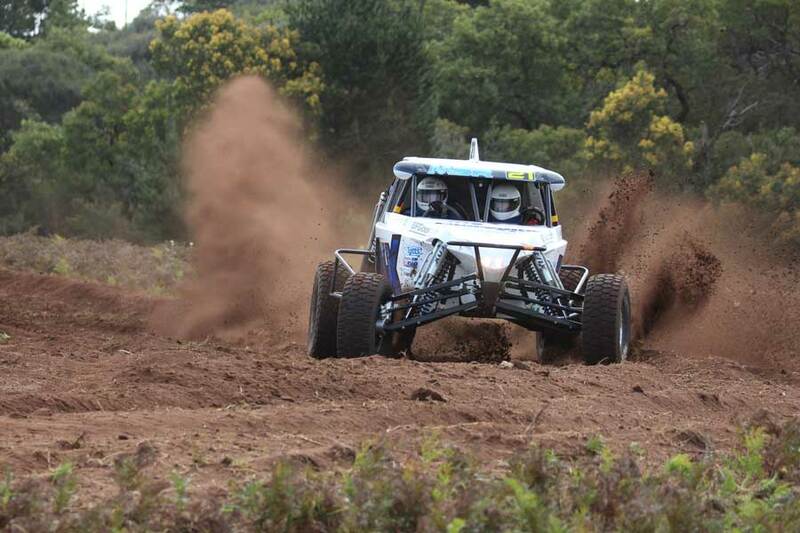 Burrows, who took outright honours in 2004 and 2005, greeted the checkered flag 3m04seconds ahead of Garry Turnbull with daughter Tamara navigating. Turnbull’s previous Pines titles spanning from 1990 to 2001 with numerous podium finishes in the mix. Brendan Payne and Linda Miller slotted the Southern Cross Mark 5 #99 into fourth place with Jason Peel and Andy Murdock #44 rounding out the 2018 Teagle Excavations ARB Pines Enduro 400 top five. In an event where the top end of the field failed to keep it together, Andy Brown and Mark Sedran were one of the first to exit the event, suffering a severe rollover; the #45 Saber doing its job in keeping the crew; both Andy and Mark will spend the night under medical care. Not long before the departure of Andy Brown, James Tyrrell and Rhys Elliott also rolled their #828 Nissan Patrol ending their Pines weekend. Greg Gartner and Jamie Jennings were running in second place behind Hanson until an oil line issue on lap five ended their race. 2017 event winners Tyler Owen and Oliver Stephens #41 where mixing it with the top of the field until an engine misfire saw them back in the pits. Danny Brown and George Apted had made their way past Dad Andy in the early stages of lap one and before Andy’s rollover, and were therefore unaware of the drama until they came across the scene half way through their second lap. Danny immediately stopping and forgoing his race to ensure the wellbeing of Dad and Mark and stayed at the scene until they were transported by ambulance to hospital.